You can now have notifications sent to notification channels for events such as host status changes etc. Hello! Mackerel team CRE Inoue (id:a-know) here. It certainly seems as though winter has arrived as temperatures drop all around the country today. This morning I pulled out my winter gloves without evening thinking about it. The air seems really dry as well. I hope everyone out there is staying healthy. Anyways, now for this week’s updates. A new field labeled "Notification events" is now provided as a configuration item for certain notification channels. With this, in addition to the alert notifications available up to now, it is now possible to have notifications sent the channel for the following events. 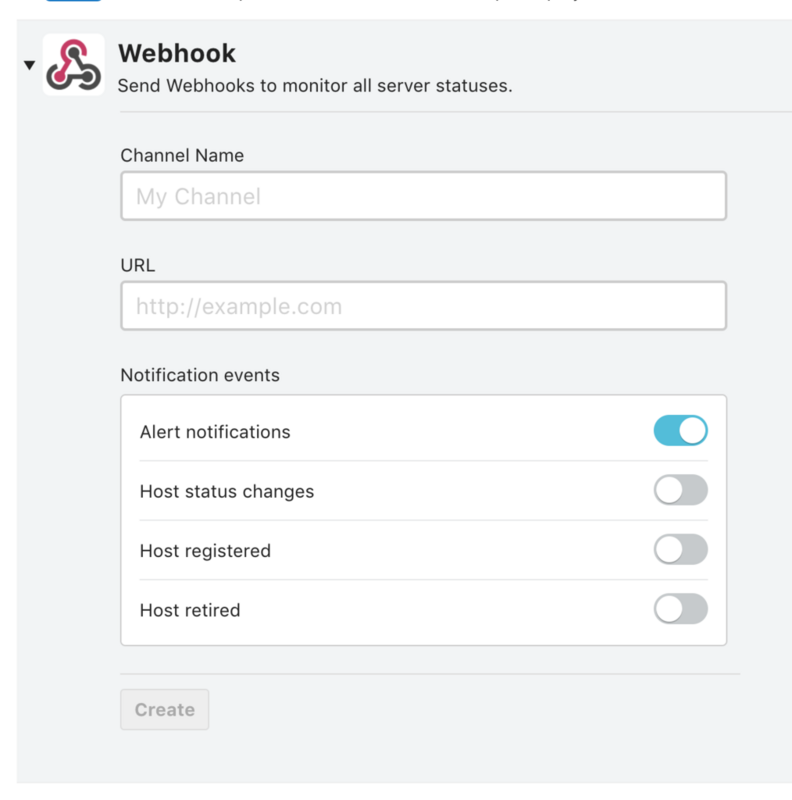 Not only is this feature useful for letting you know when events like those mentioned above occur, but combined with Webhook notifications and Amazon API Gateway + Lambda etc., it also gives the user the ability to build a mechanism that will execute arbitrary actions in accordance with the occurrence of these events. We plan to expand the types of events that can be selected for notification in the future. We are also open to requests / opinions! We previously made an announcement regarding the OpsGenie V2 REST API in the entry below, but with this week’s release, support has been completed. As mentioned in last week’s release and yesterday’s explanation article, a third party plugin installer feature has been added to the CLI tool · mkr. In order to make it easier for users to find third party plugins, we’ve made an official plugin registry. Plugins are being registered one after another. You can register by sending a Pull Request to the plugin registry’s Github repository. Even plugins such as mackerel-plugin-aws-batch are being added, so be sure to check it out! On Wednesday, November 29th, we are renting out the venue of Mercari (a heavy user of Mackerel) to hold a seminar titled "Monitoring Seminar in mercari"! This will be a great chance to exchange knowledge on not only Mackerel but also server monitoring in general. This will also be an opportunity to think about and discuss "server monitoring" in a more familiar way. By all means, join us (Only a few remaining seats)!